Instead of an acronym, a sentence may be created using the first letters of a list of related items. It is also easier to remember a sentence composed of words that are connected than it is to remember a list of items that are seemingly unconnected. That simple sentence is much easier for students to remember than the list physical, data link, network, transport, session, presentation and application. It is also easier to remember that sentence than to memorize just the first letters of the 7 layers. Mistakes would likely occur, especially in the arrangement of the letters, were it not for the mnemonic sentence to use as a guide. First letter acronyms and sentences derived from the first letters are what commonly come to mind when we think about using mnemonics as a memory tool. But, what would you do if you were trying to remember a sequence of numbers, rather than a list of words? One idea is to turn the numbers into words. That is actually an example of how people use mnemonics for memory to remember the first 15 digits of pi 3.14159265358979. If you count the number of letters in each word of the sentence, you will see that the numbers correspond to the digits of pi. That poem is an example of how teachers use mnemonics as a memory tool for children who are learning the number of days in each month of the year. Another mnemonic used for the same purpose has to do with the knuckles of the hands and the spaces between the knuckles. That one may be easier for people who benefit from visual aids. 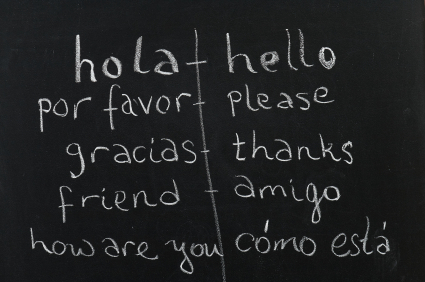 Using mnemonics can be used to help English-speaking people translate foreign words. There are many examples. If you can remember the phrase “to be a star”, it should be easy for you to remember that “to be” in Spanish is “estar”. Many linguists recommend using mnemonics for memory because they used the tools when they were learning the languages. Michael Gruneberg, a notable linguist, calls his system for remembering foreign language words, the “linkword” system. In order to use linkwords, one creates an easily visualized scene that will link together the sounds of a foreign language word to the English translation. For example, the sentence “I ran my car over a cow” is actually a mnemonic for remembering that the pronunciation of cow in Russian roughly corresponds to car over or “karova”. Using mnemonics as a memory tool for learning a new language is recommended because you focus on the sounds of the words rather than the spelling, which is sometimes confusing. For example, khao is the Thai word for rice. It is pronounced much like the English word cow. So teachers recommend imagining a cow eating rice to remember the translation of the word and also how it is pronounced. One study indicates that once you start using mnemonics as a memory tool, you will continue to use similar devices and you will be more successful at remembering things. Teachers can help students by suggesting a mnemonic and by explaining to the student how to devise a mnemonic of their own. According to the study, leaving the students to “whatever works best for you” is likely to sabotage student success. Using Mnemonics With Pictures: It’s Worth 1000 Words! In addition to words, phrases, sentences, poems and songs, pictures or graphics can also be used. In fact, out earliest ancestors were using mnemonics in their carvings and paintings. 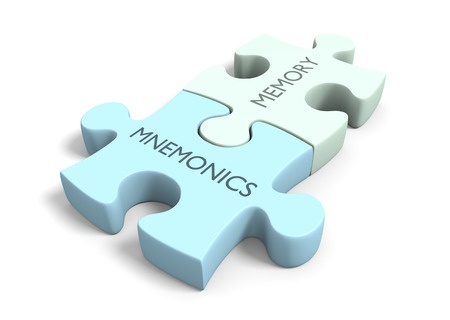 When using mnemonics as a memory tool, you need not limit yourself to the ones mentioned here. Use anything that you can to make a connection or an association in your brain. That’s how you remember things – build strong connections using mnemonics. For additional information on using mnemonics.